The Alps Art Academy is an international summer academy in the Swiss Alps dedicated to the theme of land and environmental art. The Academy takes place every two years in Tenna, in Safiental (GR), with a changing thematic focus. 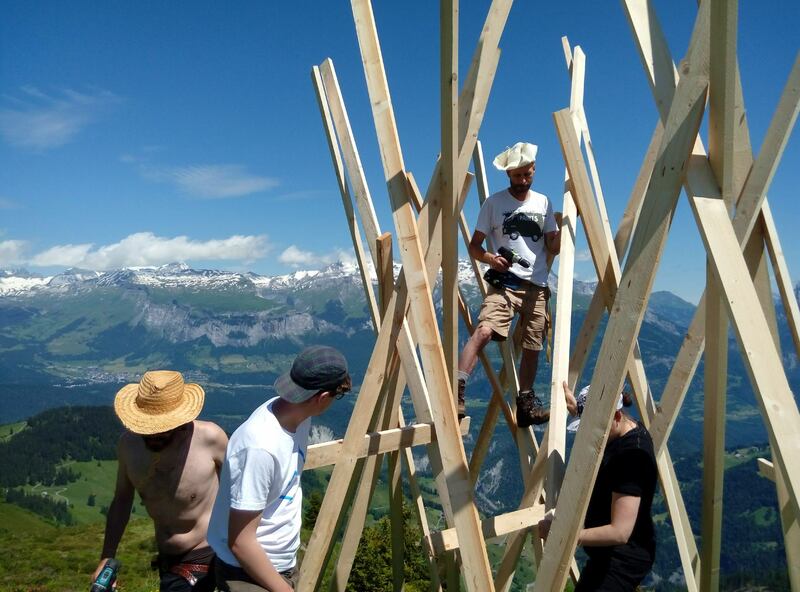 The Alps Art Academy invites artists, theoreticians, mediators and curators to discuss and work on the concept of land and environmental art and its contemporary and local aspects. The results of the 10-day program will be presented in the context of the Land Art Biennale Art Safiental, which is affiliated to the Academy. An integral part of the Academy is a public, two-day symposium. The bilingual publication series Documents of Land and Environmental Art develops the themes of the Alps Art Academy and discusses them in a broader, international context. Common to all workshops is the questioning and updating of the historical term Land Art as well as transdisciplinary practice. The resulting works and texts serve as suggestions for a possible New Land Art, which integrates the landscape, nature and the environment, history and society in its production.